10 Tempting Ideas for Pool Remodeling You Simply Can't Resist - Texas Fiberglass Pools Inc.
You were first drawn to your home because of the pool. It was the centerpiece of your outdoor space. Years have passed and now it isn’t as enticing as you remember. Don’t avoid your backyard because you’re embarrassed by the condition of the swimming pool. Restore it back to the place where friends and family loved to gather for cook-outs and outdoor entertaining. It may just be time for a swimming pool remodel. There are many new options when it comes to swimming pool upgrades. Continue reading for 10 pool remodeling ideas you won’t be able to resist. Damage to your pool surface can develop over time if the waterproof membrane has begun to deteriorate. This can be due to the age of the pull or from poor maintenance. Regardless of the cause, it can leave your pull looking dingy and dull. 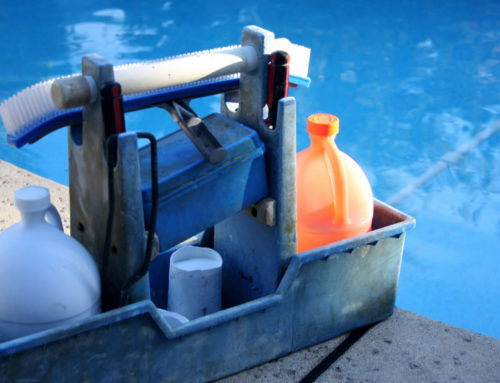 If resurfacing is in order, consider using pool paint instead of plaster. Both are durable and will prepare a waterproof barrier. Decorative tiles can improve the look of any room or surface. When added to your pool or the area surrounding the pool they can turn blah into glam. Tile can be used on the surface of the pool to create a mosaic design. Tiles around the upper walls of the pool make for beautiful borders. If your pool is surrounded by a concrete deck, tiles can be used to change the entire look of the pool. With so many tile designs on the market, you can have unlimited pool remodeling ideas. LED lighting is popular in pool remodels. Regardless of the pool size or layout, a pool lighting scheme can totally transform, not only your pool, your entire backyard. Lighting comes in a variety of styles, sizes, and colors. Set the tone by installing a multi-color lighting system that gives versatility. 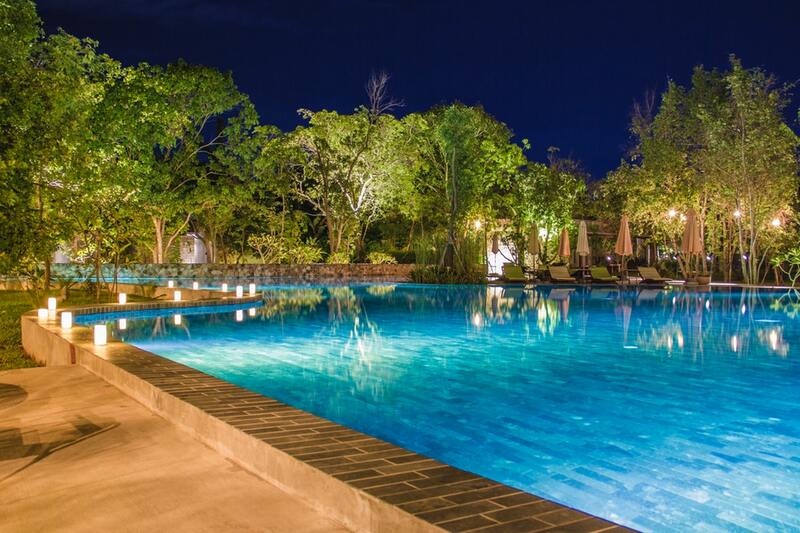 With LED lighting your pool isn’t just for the daylight areas. You can now enjoy a swim at any hour. Pool waterfalls and LED lighting go hand in hand when it comes to beautiful alluring swimming pool remodeling ideas. Waterfalls can be as simple or as breathtaking as your budget or space can permit. There are numerous types of waterfalls ranging from deck jets, rain curtains, and water walls. Not only are waterfalls attractive, but they also have a calming effect. Imagine relaxing by the pool after a long week and being soothed by the cascading sound of water interacting with water. Having a swimming pool can be a lot of fun, but there are times when what you really want is a spa to relax in. 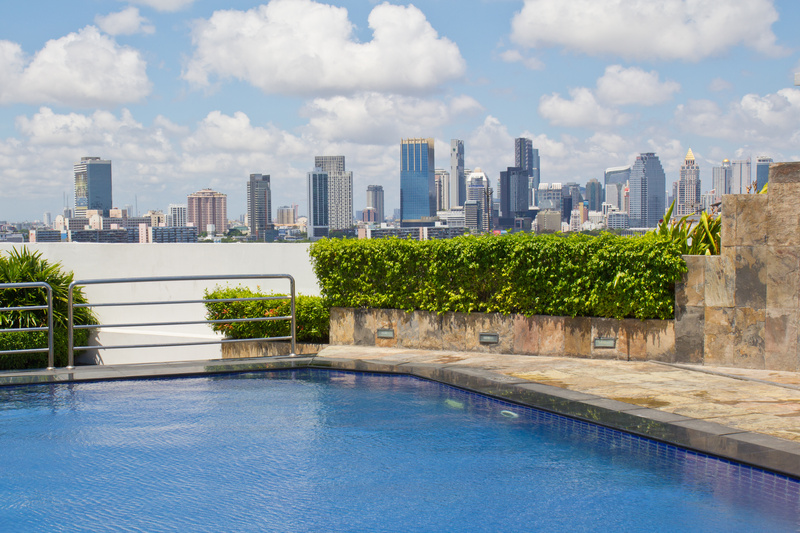 When your home was purchased it may have come with a basic pool. Adding a spa is a great use of your pool remodeling budget. It’s relaxing and invigorating. 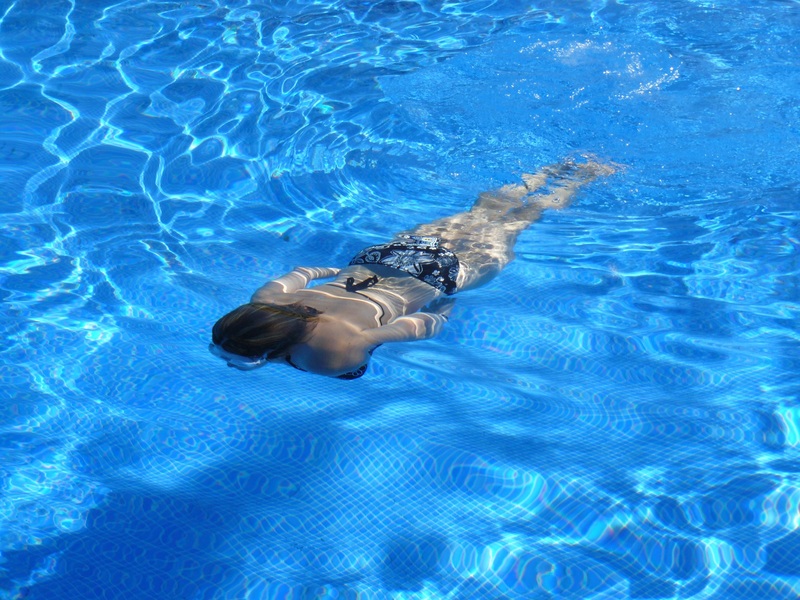 With a combo pool and spa, you can introduce hydrotherapy into your healthy living lifestyle. Spas also give your pool a new and interesting focal point. Swimming pool spas are generally elevated above the base level of the pool, making it a great way to incorporate a waterfall feature or water spout. A pool remodel should include adding a pool deck or redesigning an existing deck. The deck area is the surface that surrounds your pool. If you do not have a pool deck you are probably standing on grass. A deck expands your pool layout and gives the allusion that the pool is bigger than it really is. With the deck, you have room for those who prefer to lounge by the pool. 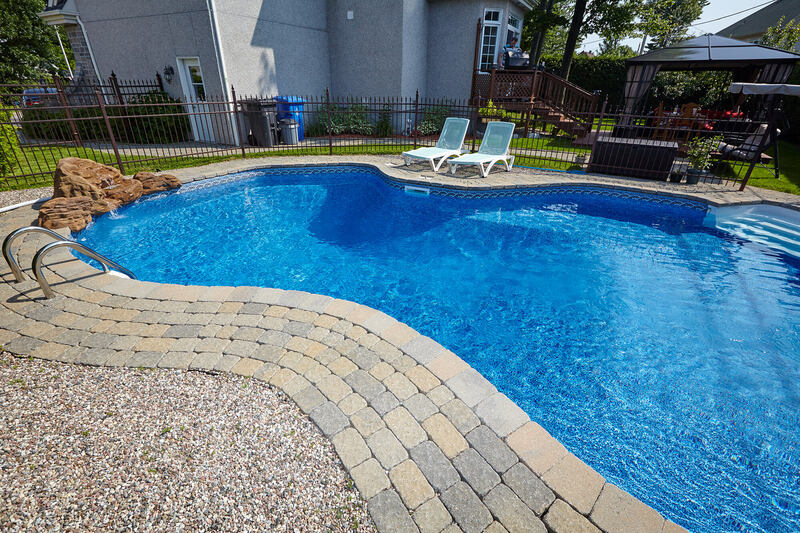 Pool decks can be made out of wood, concrete or stone pavers. Maybe you already have a pretty cool pool but can’t figure out what’s missing. Creative landscaping could be that one thing to take your pool over the top. Consider adding scrubs to enclose the outdoor pool area. Add a gazebo with a sitting area in one corner. In other areas use oversized planters to bring tropical plants and miniature palm trees into the mix. You can top it off with large rock water feature and tiki torches. Infinity pools are all the rave and an awesome way to impress your family and friends. 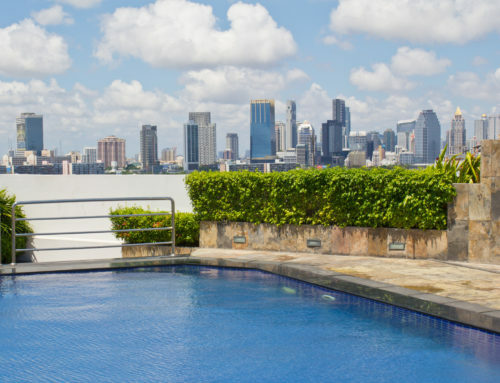 You’ve probably seen this vanishing pool on your favorite reality TV show featuring a famous celebrity. The infinity pool looks as if the water is running off the edge of a cliff or flowing out into the beach. But it’s only an illusion. 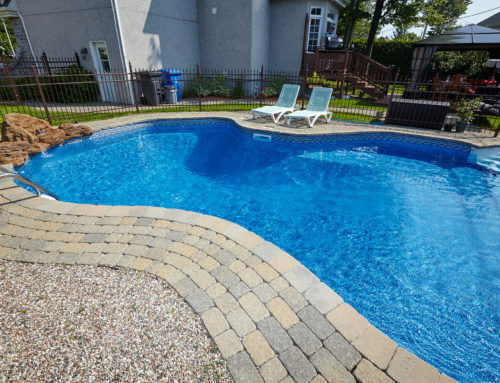 Homeowners can convert the back edge of their pool to create the same feature. Fire pits are an amazing addition to your pool remodel. On chilly nights you can still entertain your guests outside. 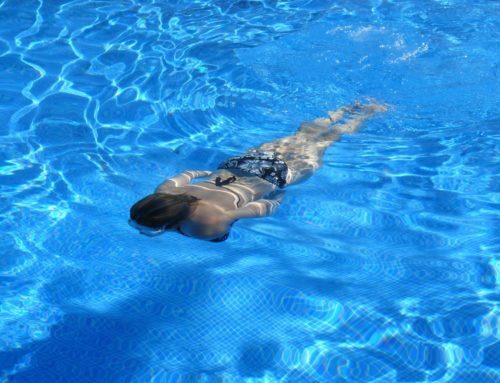 They come many dimensions and can be built into your existing swimming pool design. Fire pits are constructed with your choice of material including metal, natural stones, and concrete. Homeowners will also have the choice of gas, charcoal or wood heating elements. Best of all, your fire pit can be a part of a waterfall or pool spa feature. If you are working with an unlimited budget, why not add all of these features and more. Create an awe-inspiring indoor/outdoor entertainment area that includes seating surround-sound for music and a large screen television. Your home will sure to be on the top of everyone’s list of best places to hang-out. Are You ready to Invest a Pool Remodel? Now that we have you thinking about pool remodeling ideas, why not go ahead and take the plunge. 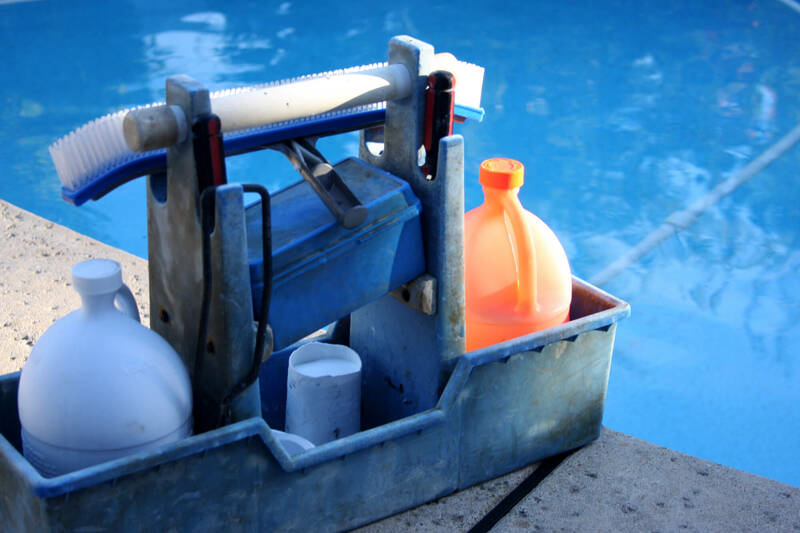 Our team of pool professionals is eager to work with you on your swimming pool remodel. Click here to contact us. We look forward to working with you.